The Wall Street Journal reports on May 14 that Democratic Party presidential front-runner Hillary Clinton is “ramping up her fundraising schedule” with prominent supporters now hosting $100,000-per-head events. 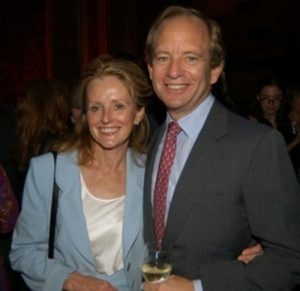 Two individuals cited among Clinton’s inner fundraising circle are Maureen White and Steve Rattner, who oversaw one of the money soirees on May 12 at their Manhattan residence. (A second fundraiser was hosted that day by Lynn Forester de Rothschild.) “Mr Rattner was a prominent businessman and served in the Obama administration,” the Journal notes. Yet the brief report doesn’t elaborate on the couple’s very close ties to the Obama administration, where Clinton served as Secretary of State. 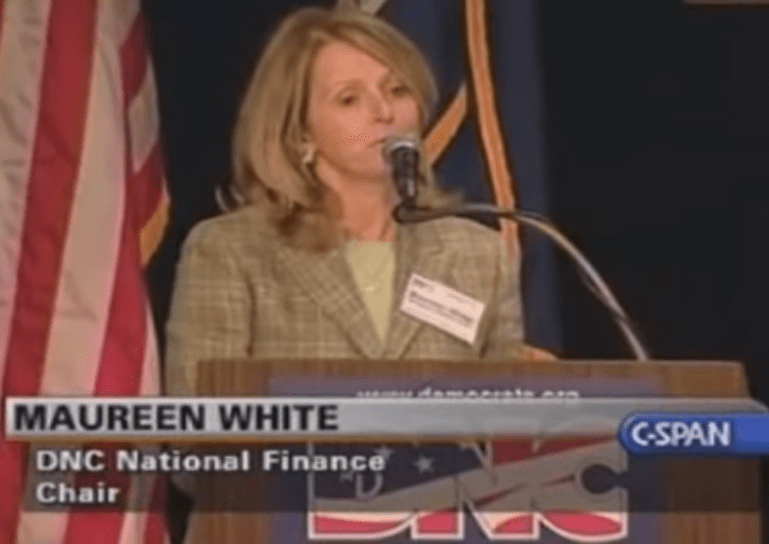 As MHB observed in 2013, Sandy Hook parent and actor Francine Wheeler was previously employed as personal assistant to chief Democratic National Committee fundraiser White. In fact, White was the DNC’s star campaigner, raising $51 million in 2005 alone. She then served as senior advisor on humanitarian issues in Afghanistan and Pakistan in under Secretary of State Hillary Clinton. 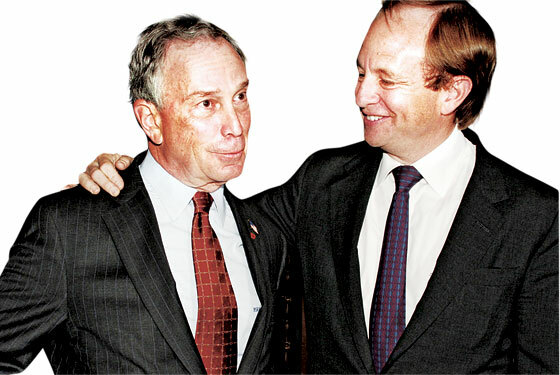 White’s husband, the powerful Wall Street investment banker and Obama administration advisor Steve Rattner, is also a close personal friend and money manager of anti-gun crusader and founder of Mayors Against Illegal Guns Michael Bloomberg. Bloomberg used the Sandy Hook shooting as a rallying cry for more stringent federal gun control measures. Rattner is also a member of the influential Council on Foreign Relations. Rattner previously worked for the New York Times as an assistant to famed Times’ columnist James Reston. There Rattner befriended Times publisher Arthur Ochs Sulzberger Jr. The Times has played a central role in propagating the Sandy Hook narrative, editorializing for heightened gun control measures, and misrepresenting the issues surrounding Professor James Tracy’s termination by Florida Atlantic University in January 2016. 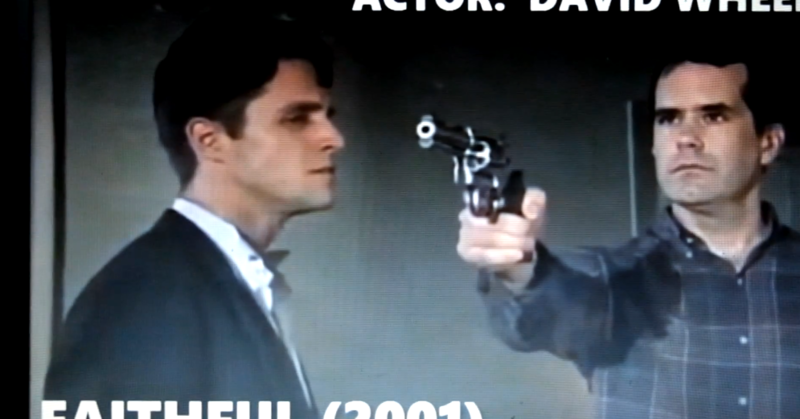 In 2001, Francine married David Cole Wheeler, another professional actor who starred in an obscure short film, Faithful, also produced that year. The macabre production centers around the theme of suicide that eerily reemerges in the Sandy Hook shooting narrative. David is now on the speaking circuit as a bereaved Sandy Hook parent. One Sandy Hook researcher has recently located photographic and video evidence strongly suggesting that David also clumsily played an FBI sniper in Newtown on December 14, 2012. Since this possible appearance as an inept militarized policeman David and Francine, with a little help of folks like Francine’s former boss Maureen White, have made virtual careers out of their identity as mourning Sandy Hook parents turned gun control activists. The ties between the Democracy Party establishment, Wall Street and the most significant event seized upon to further gun control measures in this country couldn’t be more clear. Yet this is something that major media outlets such as the New York Times are not interrogating, and with good reason, as they are integral components of this finely-tuned passion play. Why wasn’t Francine Wheeler assigned to assuring “humanitarian issues” in Gaza? Yes, indeed, the US has always tried to be humanitarian as they rip asunder democratically installed governments like Iran in ’53. Now, we are at it in Venezuela and Argentina. Yet, Russ Limbog insists on a stack of truth books that the “US has never taken imperialistic stances anywhere in the world. Is Russ dreaming or is he insane? Neither. He’s bought and paid for fair and square. He dialed for dollars and is now official spokesman for AIPAC. The media exists on many levels. Owners are largely in the Tribe, while the underlings are like most Americans, fighting to keep their jobs “no matter what”. I’ve had this discussion with newspaper editors and all admit they are controlled by the dollar. They take the job to make a living and recite faithfully what they are told or they soon discover they must regurgitate. They are controlled, they know it, too. What would you do? Many teachers know their system stinks yet they punch their time cards for an entire career. Control, it’s about control. 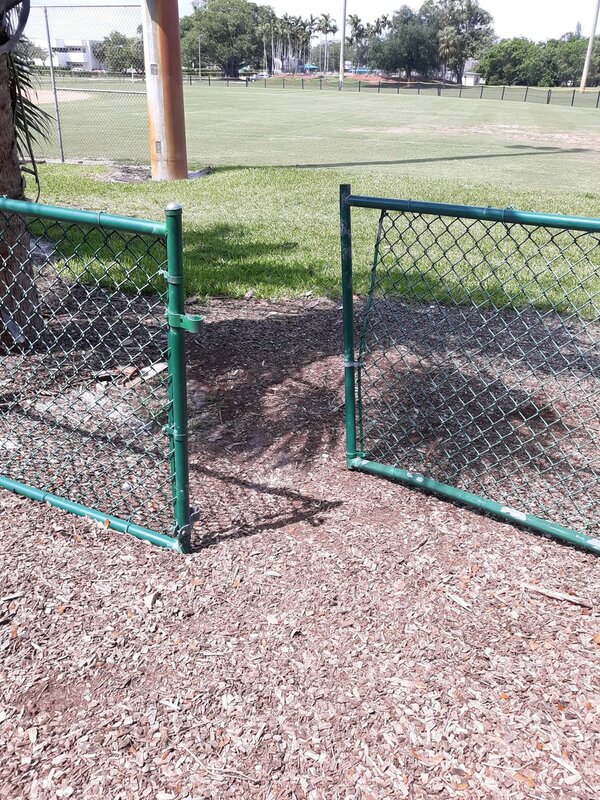 Take the path of least resistance. Now obviously there are those who actually believe in some of these absurd theories of schooling. It’s easy for them to accept this stuff as they are believers, so what’s the problem there? It’s reassuring that 4% of our population is comprised of psychopaths, isn’t it? What is wrong with you America??? The proof has been presented right in front of you, documented and tracked, and still…………you sit there. The problem is that all the knowledge and information about these events must be presented in the proper fashion or else the easily led sheeple would rather go along with the 6pm talking heads rather than a scholar like Jim Fetzer, a force of nature if there ever was one. Jamming truth down peoples’ throats rarely works, if people are stressed even a tiny bit, they resort of the safety of believing the liars who dispense with the manufactured lies and distortions regurgitated over and over by the media corruptocrats. There are cogent reasons for this, people reading papers and magazines gravitate to the easy stuff, the cotton candy, rather than the high fiber stuff that demands effort and thought to wade through. People follow their favorite writers and TV people, they trust them because they hear the drivel over and over and over and steady pounding on a post will sooner or later drive it into the ground. Yes, people who insist “it’s time for a woman president” are one issue voters. As long as their gendered heroine fits the description, they are certified for the job regardless of whether or not they are capable. They have the body machinery that stamps them a woman and no other trait is needed. Things happen for reasons, not randomly. Womanhood has been marked for marginalization for a long time thanks to the Tavistock Institute and their fellow feathered stooges and this has created a class in society that is hungry for their day in the sun. Women are starving to death to get their compensatory strokes and Hillary, despite a nefarious past, will give it to them in spades. She will be their avenger. Reblogged this on 50 Shades of Pissed Off. “Anyone who studies this stuff…the Illuminati, the Federal Reserve, the Freemasons, the money, the political side, the elite, Hollywood all of it–anyone who goes really deep…finds God, the Bible and Jesus Christ. It’s all about Him. It’s a war on HIM.” Nicely put 50 Shades. I agree completely. All three writers of Under the Gun (2016) have previous political agenda films under their belt. Couric discussed the project on national television May 13. So, does everyone think Matt Lauer and Katie Couric totally know it’s all fake (or most shootings anyway)? I recall an interview Couric did with Sandy Hook parents and I was certain she was ‘in’ on it. Now she references one of the Aurora ‘victims’ parents and their daughter’s boyfriend claim that his conceal carry permit wouldn’t have helped even if he’d had his gun. Yet his argument mediated via Couric isn’t very convincing, especially since we’ve all had the details pounded into us to be able to picture the scene ourselves. I guess I’m really asking, how do they get the entire media to go along? How did they do this at Sandy Hook, including the ‘little people’ reporters? How does such a secret remain one with such extensive and seemingly amateur ranks of cognoscenti? I still think this is all about mental health as a means of disarming both concretely and rhetorically. Couric says NRA members are shocked to find out one can be listed on the Terror Watch and still be able to purchase a gun. Some americans still believe in due process. ‘Mental illness’ is how the elites will destroy it. That’s easy. 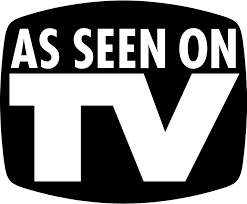 NOTHING airs on national television that isn’t approved for public consumption. In a nation where living-wage jobs are scarce, reporters are easily replaced with a long line of people at the door that are willing to say whatever they are told for a hefty paycheck. That’s exactly what actors do. This “interview” had many aspects of a classic propaganda puff piece. Pre-vetted questions, a flurry of statistics, copious use of ethereal “expert” opinions, appeal to viewer’s emotions. Zero attribution. Sue, it is easy to get the media on board, as they are among the first to be corrupted. There is a video that has to be seen, called TWA Flight 800. 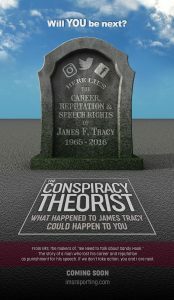 In it, it shows the media (Robert Hager, NBC) reporting flat lies about the plane and titling the segment “Conspiracy Theory”. It is sad and sickening how blatant it can get. In the book Punitive Medicine by Alexander Podrabinek, the term “punitive medicine”, which is identified with “punitive psychiatry,” is defined as “a tool in the struggle against dissidents who cannot be punished by legal means.”:63 Punitive psychiatry is neither a discrete subject nor a psychiatric specialty but, rather, it is a disciplinary function arising within many applied sciences in totalitarian countries where members of a profession may feel themselves compelled to service the diktats of power. Psychiatric confinement of sane people is uniformly considered a particularly pernicious form of repression and Soviet punitive psychiatry was one of the key weapons of both illegal and legal repression. Psychiatry possesses an inherent capacity for abuse that is greater than in other areas of medicine. :65 The diagnosis of mental disease can give the state license to detain persons against their will and insist upon therapy both in the interest of the detainee and in the broader interests of society. :65 In addition, receiving a psychiatric diagnosis can in itself be regarded as oppressive. 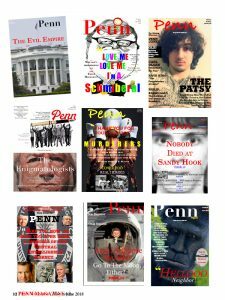 :94 In a monolithic state, psychiatry can be used to bypass standard legal procedures for establishing guilt or innocence and allow political incarceration without the ordinary odium attaching to such political trials. :65 In the period from the 1960-s to 1986, the abuse of psychiatry for political purposes was reported to have been systematic in the Soviet Union and episodic in other Eastern European countries such as Romania, Hungary, Czechoslovakia, and Yugoslavia. :66 The practice of incarceration of political dissidents in mental hospitals in Eastern Europe and the former USSR damaged the credibility of psychiatric practice in these states and entailed strong condemnation from the international community. Psychiatrists have been involved in human rights abuses in states across the world when the definitions of mental disease were expanded to include political disobedience. :6 As scholars have long argued, governmental and medical institutions have at times coded threats to authority as mental disease during periods of political disturbance and instability. :14 Nowadays, in many countries, political prisoners are still sometimes confined and abused in mental institutions. how about we imagine one where no child is killed by a gun in a senseless war? Or how about we imagine one where they arent gunned down by police “:fearful for their life”. How about we imagine one where they arent killed by bombs, or depleted uranium. Then in July that same year she was at the UN talking about the UN small arms treaty that would strike down our 2nd amendment……..she said kids should be able to feel safe in their communities and the only way for them to feel safe was to disarm the parents. I thought about all the kids around the globe who hadnt been and were still not safe from the actions of our government including Clinton. So I wrote her a letter and asked her if she ever thought about the children terrorized by attacks she had encouraged and condoned? Ms Clinton never responded. Was it something I said???? Nobody does it better than Barry Soetoro in exposing and covering the the Dave and Francy show. … https://www.youtube.com/watch?v=Sm4WwjULRJ0 … of April 5 but the earlier ones were five months ago. Can only assume this updated article on the subject has something to do with steering votes in this election cycle. Yeah right. I’m so impressed with the presumptive Repug candidate’s choice to head the “Radical Islam” Commission, none other that one of the major filth actors of 9-11, America’s Mayor Rudy Rudy. And so glad this good guy just got a 10 mil transfusion from Sheldon Adelson. Sure was disappointed to see Peter Yarrow Blowin in the Wind with the Wheelers. How many scams will it takes till we learn that too many people have been screwed? True, Dachs, but won’t it be interesting to see if Trump, say, actually delivers the goods? Will he disappoint us, will he listen to the Song of the Sirens? Overtly and covertly, he’s under immense stress now as he’s had the chance to talk to the Centurions that guard the status quo. Can he resist? Did they give him the keys to the car or did they make him an offer he couldn’t refuse? Just in case, I’d say that there’s already a secret cadre of trainees in the Secret Service being trained for a very special wet mission in the future should Trump be elected. Just sayin’. The man is in danger from the get-go and now he knows it. He will go along to get along, count on it. He won’t disappoint the Committee of 300, how could he? Does anyone still have posts disappear on occasion? I’m no longer under moderation except of a more diabolical kind. Yes, my post never appear! Scripps Collgege faculty and students protest war criminal Madeleine Albright speaking at graduation. Dream jam band rauks ! I don’t have to tie my shoes my favorite . The overall goal is total control of everyone all the time. Every caper is mutli-purpose and accomplishes many of their goals, even when it appears their plan failed or was relatively unsuccessful. You don’t have to remove guns from people who were never allowed to have them in the first place. More and more people will not be allowed to own guns, and the rationale is looking weaker and weaker for these disarmament schemes – even to the point these days of seeming totally ridiculous. Sometimes they want real terror, real violence, actual deaths, and real civil unrest. Other times they can do all that on the fake. Lot’s of psychopaths are very smart. They are not hampered by pangs of conscience and there is no line they won’t cross. All of the mainstream media talking heads and head journalists are simply the lowest of the low – prostitutes and pimps all. The missing 28 pages and the Saudi’s involvement in 9-11 may well be another political football that was planned to come in to the news bigtime right now to be used to distract and divert or to promote one candidate. The way I figure it, Phillip Zelikow totally wrote the 9-11 Commission Report pulp fiction and I cannot see why he would actually put some truth in their about the Saudis that had to be “suppressed.” All part of the Sunstienian type deceptions. Also I have read about 20 articles over the last few years that indicate the Saudis and the Israeli government are in very cozy close relationship. Read Dr. John Coleman’s book on “Tavistock Institute of Human Relations: Shaping the Moral, Spiritual, Cultural, Political and Economic Decline of the United States of America”. It’s all there in the book, the seeds of our demise go back many years. It’s a great read, highly recommended. If you haven’t already, check out John Coleman’s books on the Club of Rome and the Committee of 300. The world is indeed run by psychopaths! Here is a free online downloadable copy of Dr. Coleman’s book. Thanks for that; I was attempting to explain to someone recently about the linkages between Tavistock, The New School(for Social Research), The Frankfurt School, Columbia University(became an off-site for Frankfurt School during NAZI era), & eventually Social Research evolves into Social Relations & then Harvard’s School of Social Relations with Dr. Timothy Leary(MKUltra CIA) and one of the test subjects: Ted Kaczinsky(hope I spelled it right) the so-called UNABOMBER whose government-appointed attorney was…THE SAME ONE AS DZHOKAR TSARNAEV! Hilarious! We couldn’t make this up if we wanted too?. Rico, was Ted just another poor patsy for those alleged bombings, or were the bombings themselves even real events? I remember back in 1996 when he was arrested, and the story was that his brother, David, had turned him in. Looking back though, the story sounds rather fishy to me. I also remember an episode of “Unsolved Mysteries” that aired after Ted’s arrest, that suggested he could possibly have been the Zodiac Killer. When Zodiac attacked a couple at Lake Berryessa in September 1969, he made a cryptic comment about getting out of prison in Montana. Bryan Hartnell survived that attack and told a detective what Zodiac said about prison, but he couldn’t recall the name of it…only that it was two words and one of them was “lodge”. It was surmised that he said “Deer Lodge”, which is close to where Ted supposedly lived in Lincoln. I guess nothing ever really came of that though. I know I am not alone in saying that I no longer take any story at face value. Mathis has some fairly extensive research on Teddy. “Isaac Herzog, member of the Knesset and Chairman of the Israeli Labor party, revealed that Saudi king Salman bin Abdulaziz financed the election campaign of Israeli Prime Minister, Benjamin Netanyahu, Arabic Almasdar news quoted from Panama Papers. “In March 2015, King Salman has deposited eighty million dollars to support Netanyahu’s campaign via a Syrian-Spanish person named Mohamed Eyad Kayali. Will the real bitter ages-long conflict between Muslims and Israeli Jews please stand up? The consolidation of the rule of the few over all is becoming more clear each passing day. I must correct the earlier posting of mine regarding the 28 missing pages of the 9-11 report. The pages are NOT from the 9-11 Commission Report. The missing pages are from the much more legitimate Joint Congressional Report on the failures of 9-11 done by the Intelligence Committee. The media has deliberately blurred this fact. Even thought there may well be some real “bombshell” facts to possibly be revealed, I still think this matter has curiously come to be a big media issue right at the time of the presidential election flurry. I do not know exactly what entity connected with congress would have the decision to release the 28 pages. If it is ultimately up to the president, the pages will never be made public. Wayne Madsen made the interesting remark recently that the dancing Israelis story was about providing cover for the Saudi patsies who were really probably being run by the Israelis. He also mentioned that the Israeli Mossad guys caught filming and then admitted that they were their to document the event were probably really acting and covering up to ensure that some bombs in a van go to the Washington bridge or tunnel to blow it up. 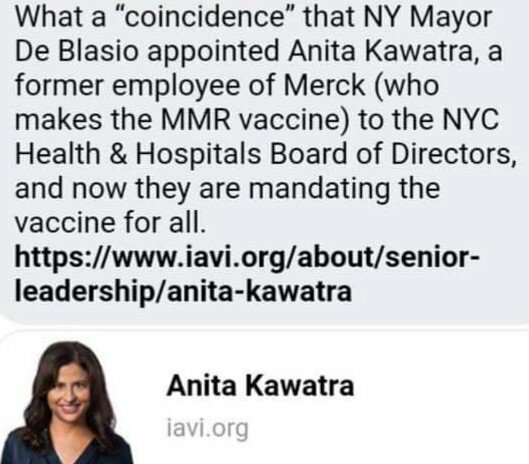 These crisis actors and dimwitted liberal money suckers are all so morally sick and disgusting; no morals, scruples, nor ethics. Please, God, round them all up and ship them to a different universe, millions and millions of light miles away, so they stop polluting our air, soil, water and sensitive, impressionable minds!! Excellent article! It takes a hell of a lot of courage to publish this stuff. When the final roll is called, I have no doubt that Dr. Tracy and MHB are going to be on the right side of history. In Zoroastrianism it might be called asha: truth. The opposite of druj: lie. Very old religion, that. Thank you for stimulating my curiosity about globalization and media. 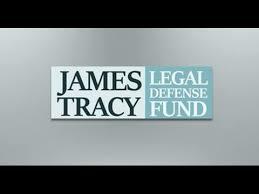 In my opinion, the University of Iowa has graduated no more honorable scholar than James Tracy. What is quite telling is that the high profile Sandy Hook victims, after 3 and a half years, continue to identify themselves solely and entirely as the Sandy Hook victims. Their Face Book, Twitter accounts and everything else is all about the Sandy Hook tragedy. That is all that they ever talk about continuously. Also seemingly under the radar is the Robbie Bruce case – For that background watch this video – What is intriguing here is that there was vociferous outrage by the parents of Sandy Hook victims when a Bronx woman falsely represented herself as a relative of Noah Pozner and got about $240 in fraudulent donations. Yet Robbie Bruce apparently absconded with $70 grand and there is very little said or reported about it. His sentence may very likely be no more than the woman who got the $240. Ray, is this guy associated with that she-devil Ryan Graney, who reportedly managed to misplace about $70,000 in contributions? Do you have any idea if she was charged with anything? It’s a happy mistake, Ray. I dig it. Especially the gargling. By the way – Connecticut’s financial woes are finally requiring Malloy to make cuts in the state budget. What was the first line item slashed you may ask ? Malloy has clearly joined the perps. Once he gave that speech he later denied after the Sandy Hook Hoax, it was clear that he had been selected, gleefully so, to throw in with the Feds and contribute his complicity in faking the event. That’s also why it is being said he is surely going to be in line for a job in the Clinton regime should she get elected. He’s a wretched little fellow. I watched Under the Gun (2016)last night. Ironically, they said that the NRA “Bullied” Congress. Eric Harris & Dylan Klebold (The FBI and a cowed media really shilled for downplaying documented claims of bullying and supporting “personality disorder” theory). Imbibing all the Sandy Hook articles on the MHB has brought to mind how cool it might be to construct a “word cloud” of most frequently occurring words. “Here is a word cloud we quickly created based on the English version of Amoris Laetitia (courtesy of Word Cloud Generator). It shows the 100 most-frequently-used words in the document. The bigger the word, the more frequently it appears. Click the image to enlarge it. “Yet this is something that major media outlets such as the New York Times are not interrogating, and with good reason, as they are integral components of this finely-tuned passion play”….not just that, but the NYT has been an integral part of that “Eastern Establishment” CFR(affiliated since the founding in Pratt House in 1921) Century Club(sister club to Bohemian Club/Grove) OSS/CIA WW2 PSYOP National Security Complex since almost the founding of the paper, itself(Ochs & Sulzberger’s were bankrolled by the “Money Trusts”). During the Wheelers’ respective acting monologues, close observance reveals they are indeed acting. In her case, one notices her instances of looking down, to the right and pausing momentarily to give the viewers the impression she’s originating then genuinely sharing her thoughts and emotions, all the while reading the monologue from a teleprompter. In his case, the teleprompter doesn’t provide the script, as anyone can clearly see the papers holding the speech on the podium; the dramatic nature of the words and ideas delivered to that audience are far from consistent with a prepared written speech, reinforcing the fact that acting skills were being utilized. In poker there are “tells”. Both Wheeler talks were drenched in acting giveaways. Jilian Soto is really something. She said that a truther, Matt Mills, asked about her family picture being photoshopped and it made her cry. She also said that people were making up fake Face Book pages for her sister and that made her cry. She also said Robbie Bruce took money from a charity named for her sister and that made her cry. Yet her sister is shot in a school massacre with numerous children and the next day she isn’t crying but rather on TV all smiles ? The Paulstal Service account on YouTube is no more, so any linking of Francine Wheeler to DNC fundraiser White is also gone, unless you have a copy or other source. I am very disappointed to hear that. I wish I had spent more time on that site. It was one of the few sites that I think was really about truth. I hope that “Paul” saved his content, and not on the cloud, and that he can find a venue for his stellar work. I saved more stuff on the Boston circus act than Sandy Hook as Sandy Hook seemed pretty well covered to me by Fetzer and others. I have this on a false flag review post. There have been so many of them it is hard to keep up with. I noticed Paulstal is down also. 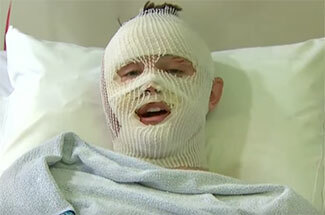 Has anybody heard any news on how Mason Wells, the mormon mummy is recovering after the Brussels clown show? He looked great the day afterwards in the hospital. Even smiling in his mummy suit? I try and continually update a post called the false flag review. The false flags are happening now at such a pace it is becoming hard to keep up with. I try and keep at least a little clip of each one however. Pundits have said that the Republican Party is self destructing during the 2016 primary campaign. It is now clear that the Democrats have done an equally good job of ruining what ever was left of their credibility. Not only have they conducted a fraudulent primary election (https://richardcharnin.wordpress.com/2016/05/15/2004-stolen-presidential-election-vs-2016-democratic-primarie/#comments), attempted to install a criminal influence pedaler in the White House(http://charlesortel.com/), but it now seems that Hillary is directly connected to the most egregious assault on America’s second amendment in our nation’s history through her DNC fundraiser Maureen White and White’s assistant Francine Wheeler. America must demand hand counted paper ballots in all state and federal elections. We must demand independent audits of all elections, and access to all unadjusted exit poll information. Any election method other than this is clearly fraudulent. We also need a new third party that actually represents the people. Bernie Sanders please stand up to this Obomination! Next few weeks. These will prove without a doubt that the event was a hoax and nothing more stay tuned.